Have you ever heard about someone who has worked hard every day, always on the job, always working. To the point where they end up neglecting their family. And then on their death bed, they say they would take it all back and work less and not worry so much about the money – all for the relationship to be restored as fully as could be. There is no backspace key in life. You can’t just hit a button and make things disappear and you’re able to start all over. But there are steps you can take to do your best to have a clean slate with other people, and with God. One thing we have to do is realize the problem. Sometimes that comes with a self realization and a confession to the world – I need a change, I need to do something different. We work and play so very hard, but we look back and see we have neglected our relationship with Christ and have put it on the back burner. This is one of the many relationships that we need to make sure, at the end of our life we don’t find ourselves saying “How I wish I could have drawn closer to God, closer to Him. How I wish we hadn’t neglected our relationship. In fact, Sometimes we need to be shown the bad decisions we have made in our relationship with God. And that’s what God is doing in Isaiah 43. God shows all the things that He has done for Israel. In the first 13 verses – God talks about how much He has done for them. How he created them, formed them, redeemed them. How he has protected them from enemies. How he loves them. How He is with them. How he has rescued them. He then goes on to say How as Creator, the wild animals honor HIM, the jackals, the owls, because He provides for them. BUT then in verse 22 – He pulls out the hard words to read. Instead of seeing God as a deliverer…they have grown weary of Him. In verse 23 – He talks about the sacrifices, but the people don’t want to bring them. They did not want to bring sacrifices to God, or honor Him. They did not want to give their money, or their gifts to God. Their worship was not centered on praising or honoring God. Instead they thought it was rather tiring. It was such a burden. It made them weary. But they’re Not interested God. SO God goes on in verse 24 and says if anyone is burdened, its not you…its ME!! NO – he doesn’t say that. In fact – He keeps doing, keeps trying. Here’s why I like God, the one true God. Other gods, you do for them, you do for them, you do for them…but GOD – the one true God – keeps trying to win us over. He had just finished saying “YOU HAVE BURDENED ME.” But in verse 25 – he says i’ll deal with it.. I’ll take care of it. WHY is he saying that? Why is He dealing with it? He didn’t make the mistake. He didn’t mess up!! He says I’m going to forgive you for my own sake and I’m not even going to remember them. We serve a God who says “I won’t remember your sins”. They’re gone. And then in verse 3 – HE SAYS “i’ll pour water out on the dry ground, I’ll pour my spirit on your offspring, and they will spring up among the grass like willows by flowing streams.” Now if you’re not understanding what Isaiah is saying here – HE’s saying A COMPLETE RENEWAL will occur. When God says I’m going to send rain or water – its usually a sign for renewal. He is going to cause a radical renewal. And notice VERSE 5 – They’ll be saying “I am the Lord’s” They’ll be a group that says they belong to God. That they are proud to belong to God. Maybe that’s what we should pray today. God will you change my heart to make me want to desire you more and more? 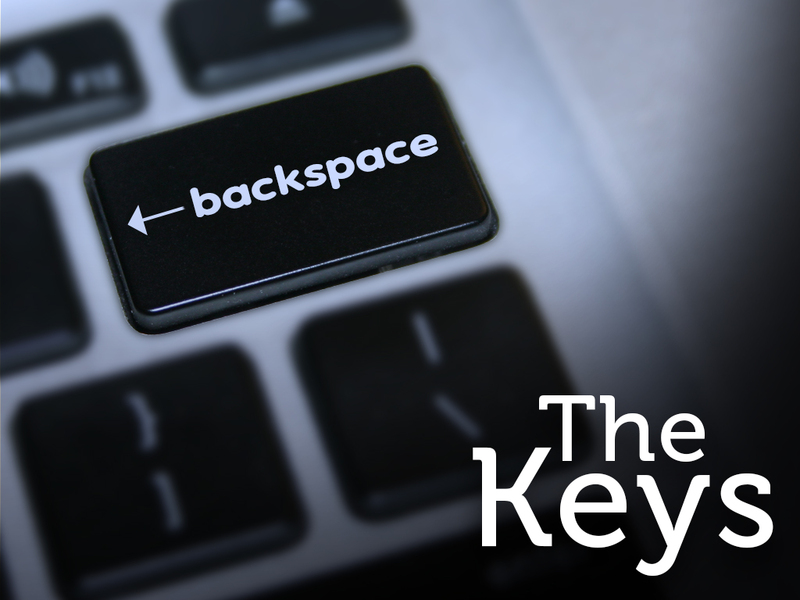 Ever wish there was a backspace key in your life? Where you can just start over? Clean slate? Its already there. Its called Jesus. He can bring about this fresh start, this cleansing. Are you weary of service to God? Have you been through this charade too many times, and it means very little to you? God can change your heart. He can take you back to where you first fell in love with Him. Start over today. God, help us to know you forgive us, you love us, and want to pick up right where we left off. Help us to forget our sins, because we know you do. Amen.